After making the trip one too many times from Oak Hill, West Virginia, Ellen and Lewis Jones decided to make a more permanent visit by moving to Morgantown, West Virginia, to be closer to their family. Their daughter referred them to Andrea Heiskell of KLM Properties, and they are so glad she did. Luckily, the retired couple had a pretty good idea of what they wanted out of their home and which area they wanted to be living because they had their daughter and grandsons looking out for them. “Andrea showed us a few houses, but they just didn’t suit,” recalled Ellen. The couple ended up renting a place on the other side of town while they continued to look for their best fit. In March of 2015, Andrea showed them a condo downtown. In a matter of about six weeks, they toured it twice, bought it, and were moved in. Andrea was a major resource for the couple during and after their condo purchase. She handled all the negotiations, set up the Joneses’ closing appointment with an attorney, and recommended a trusted carpenter and carpet outlet so Ellen and Lewis could add the final touches they desired. “KLM was so helpful the whole way. We didn’t have to do anything. We just let them do all the work,” Ellen explained. 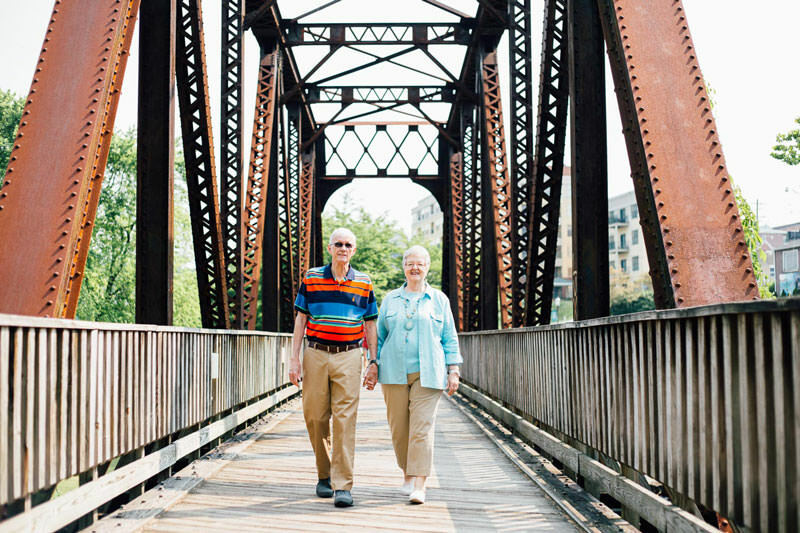 In their retired years and final home, Ellen and Lewis are enjoying their riverfront condominium along the rail trail that boasts underground parking, a short walk to downtown, an elevator service, a fitness center, and best of all, no yardwork! KLM made it all painless.